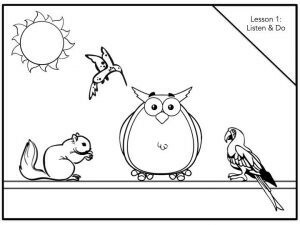 Good listening is imperative to learning and academic success. 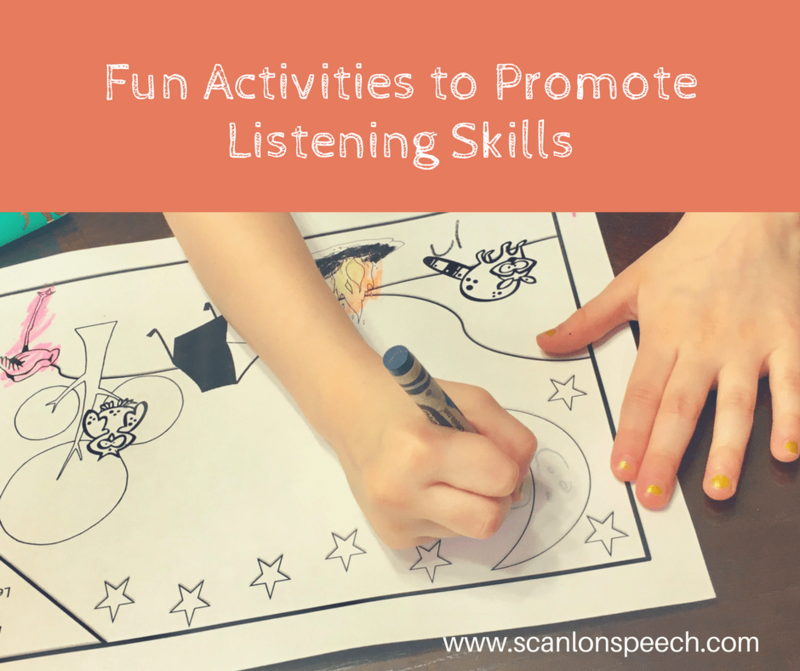 In this post, I’m sharing some fun activities to promote active listening skills. 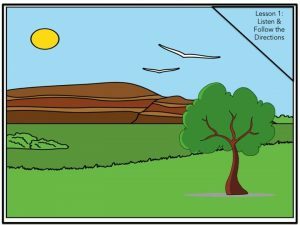 Included, you’ll see pictures of a resource I created. This packet is available by clicking HERE. 3 different colorful lessons with various manipulatives. 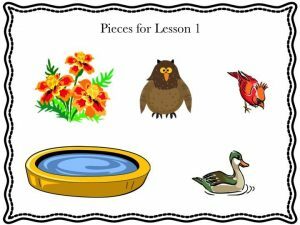 3 different easy to print & prepare lessons in black and white. 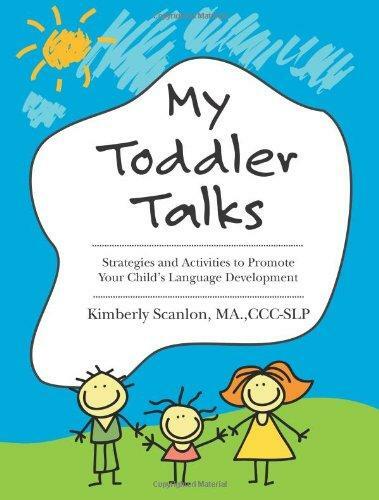 Children who struggle to listen need more than simple requests or reminders to listen. They need to know what to do in order to listen. 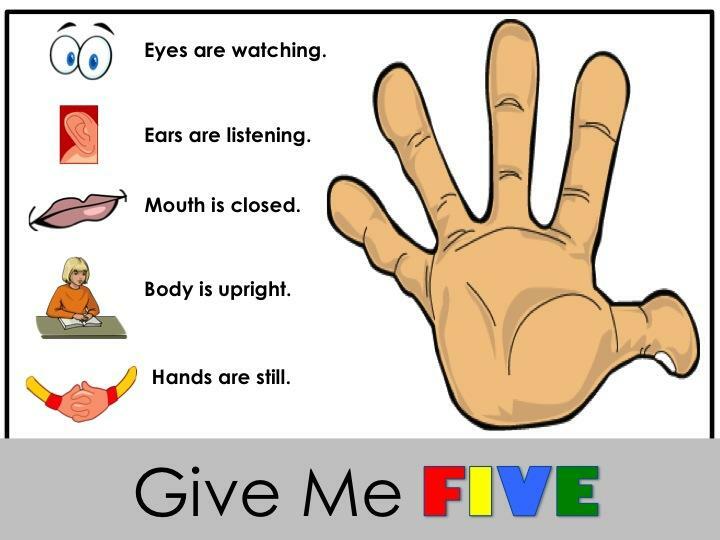 I created this Give Me 5 Visual as a way for children to remember that active listening involves the whole body. 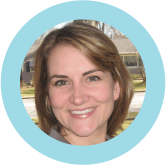 This has greatly helped many of my clients as well as my daughter. Once children are introduced to Give Me 5 or whole body listening techniques, have them practice using these techniques. 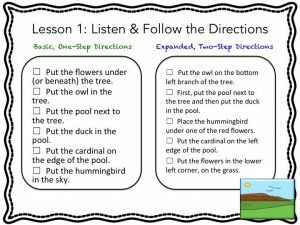 Listen and Follow the Directions includes three different lessons with differentiated instructions depending on the abilities of your child, student, or client. 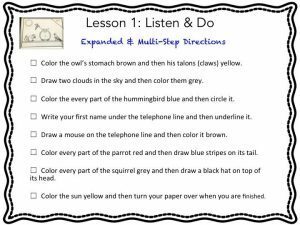 Each lesson includes Basic, One-Step Directions as well as Expanded, Two-Step Directions. These lessons require your child to carefully listen (Give Five!) and follow directions that involve placing the manipulatives in different locations on the proper scene. These activities are also a blast! 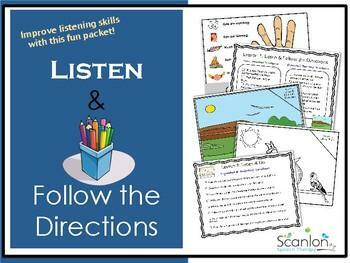 Similar to Listen and Follow the Directions, Listen and Do includes three different lessons with differentiated instructions depending on the abilities of your child, student, or client. 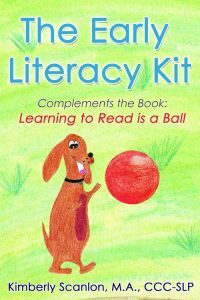 Each lesson includes Basic, One-Step Directions as well as Expanded, Two-Step Directions. 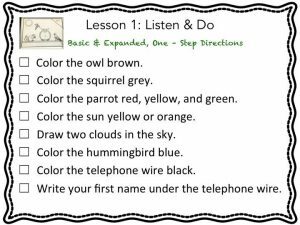 These interactive lessons require your child to carefully listen (Give Five!) 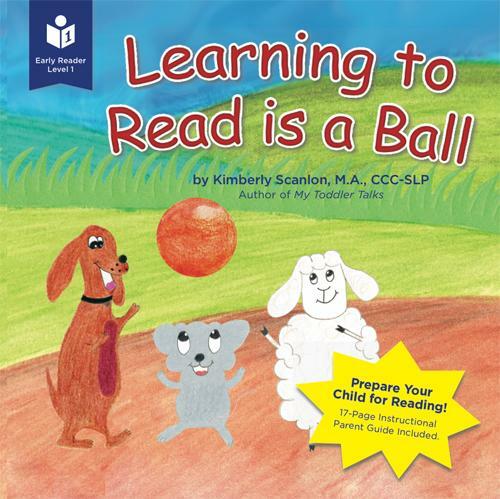 to various instructions while completing the worksheets. If you try any of these activities or worksheets, please let me know!